With car charging stations, farmers markets and new environmental programs, Montclair is taking huge steps to going green! Help the movement. Montclair is becoming a green town. What does this mean? This means they are becoming more environmentally conscious about their actions in response to environmental concern. When you walk around Montclair, you will see signs which say “Where the suburb meets the city.” In both cases, suburbs and cities contain the highest carbon footprints nationwide. Before I continue to speak on this green city, let me share some facts about what a carbon footprint is. A carbon footprint measures how much carbon you use on average compared to other people. In these tests, on average, people who live in suburbs will use the most carbon followed by people who live in cities. The use of carbon can come from things like the amount of take out food you buy, the type of car you drive, how much gas you use, etc. Montclair is one of the few towns in New Jersey to be taking an initiative to turn this town into a more sustainable one. One way the town is making a change is with the use of EV charging stations. An EV is an electric vehicle. This car will solely run on electricity. This makes its carbon output from gas zero percent. One of the most famous car companies which makes electric vehicles is Tesla. Although often rare to spot one, in Montclair, you have a higher chance of spotting one of these cars. Montclair decided to accommodate these cars while decreasing their carbon emissions by adding charging stations in Montclair. These new charging stations came as part of a grant the township was awarded to add the electric car charging stations. Not only do we have charging stations, we also have farmers markets in full swing. Farmers markets allow the public to buy fruits and vegetables from local vendors. This supports local farming rather than buying fruits from other parts of the country. This also decreases Montclair’s carbon footprint by minimizing transportation for these fruits and vegetables. The Sustainability Officer of Montclair NJ is Gray Russell. For the month of June 2015, he was named the sustainability hero recognized by Sustainable Jersey. Gray Russell has been the man who has helped in setting Montclair on to a sustainable path. Not only has the town of Montclair joined, but its own University has also taken a sustainable initiative. Launching its Sustainability Science program in 2013, Montclair State University currently has a Sustainability Science Bachelor’s and Master’s program to encourage sustainable practices. With the addition of the new Life Sciences building on campus, sustainability students (or even anyone who is interested in the green initiative) can learn more about the true meaning of living a sustainable lifestyle. 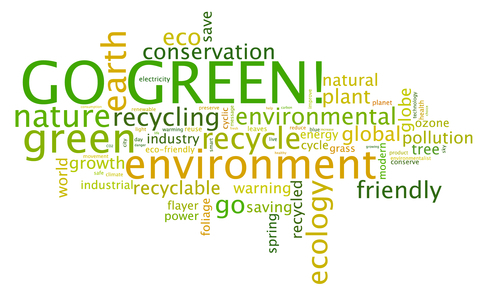 Help the movement by going green in Montclair!